Words by Emery Desper. Photos by JK Scroggins. 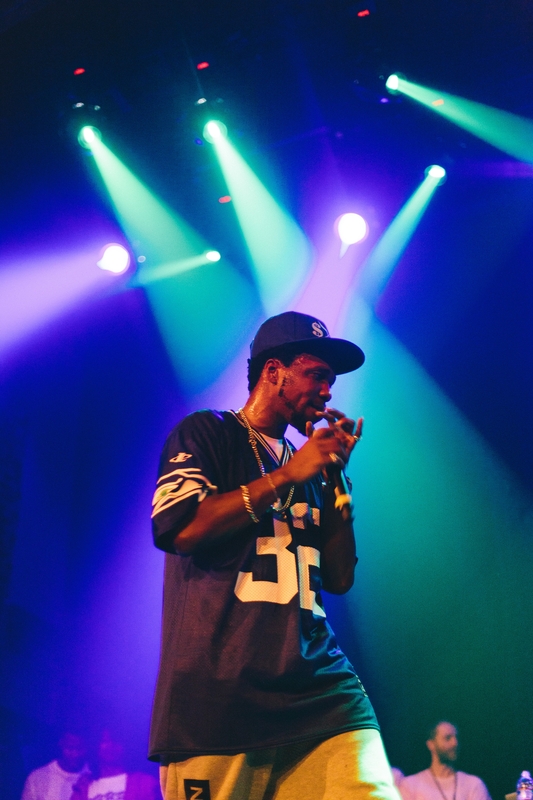 The week leading up to the Curren$y show on Thursday, April 30 was wild. Black people in Baltimore were told to swallow their pain, go home and get over it, all by 10 pm. So having a break from the horrifying reminders of how much a Black life is “worth” was a welcome change up. 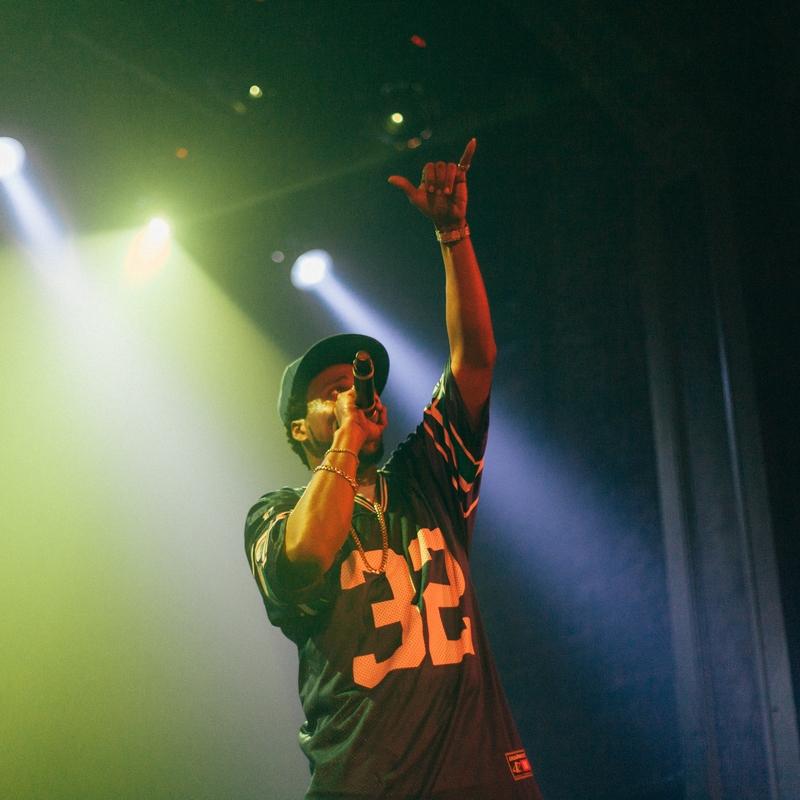 With Spitta, Seattle was able to max out and take a different journey. The rapper’s aspirational “Jet Life” chants hit home for a number of reasons. During times likes these in America — which is all the time — the oppressed are often told there is nowhere to go, the sky actually isn’t the limit, and dreaming is useless. But Spitta Andretti’s insistence that the Jet Life is indeed a tangible goal feels meaningful. Not that Curren$y is a beacon for hope or change in the traditional sense, but insisting that he can elevate himself and his crew via stoned anthems, slick double entendres, Godfather references (peace to Fredo, you traitor), and a general good time is not to be overlooked. Seeing Black people having fun is important, and with those images seeming few and far between this is easy to forget, especially as far as rap is concerned. The genre is wildly problematic for its depictions of women, materialism and the like, but it is above all else, fun. And all of us deserve to have a little of that. The most impressive thing about Curren$y on Thursday night, was how much fun he seemed to be having, easily covering more than 30 tracks, adoring fans rapping along to everything he threw out. The rapper playfully taunted the crowd, saying they couldn’t keep up, as he reached far back into his catalog only to be pleasantly surprised that everyone, in fact, could keep up. The crowd seemed intent on rapping as hard as possible for the performer just to show him their level of admiration. The show was a celebration — and a hot-boxed one at that. 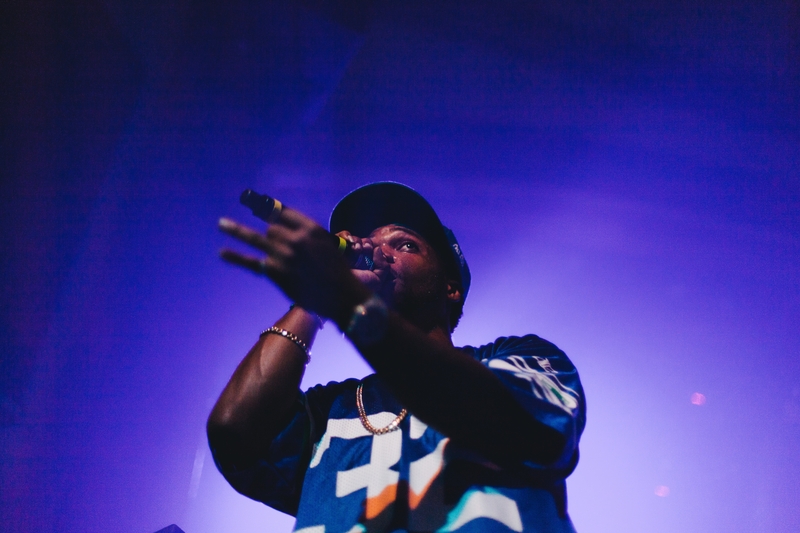 As my eyes and throat burned from the blunt smoke wafting through the venue, thick as San Francisco fog, I kept thinking about how much I liked the way Curren$y’s voice sounds. Back in the day I loved the rap crews that hailed from the Nola, and, while his accent isn’t heavy, his easy-going swag coupled with his emphatic grins made him the perfect man to spend an evening with, forgetting about all the other hardships the world has to offer. Better still, at the end of each of his songs he let the beat go silent and treated everyone to brief a capella performances. That’s when Curren$y’s talent shined through the most. He revealed the classic MC pedigree of his hometown: verses styled with just the right amount of deeper meaning, but without leaden heavy-handedness. The biggest takeaway from the show was the reminder that well-crafted raps should sound easy. On Thursday, Spitta’s delivery was consistently on point, and he remained engaged with the crowd in a way that made the performance feel personal. He even dressed in throwback Seahawks gear. Aside from the slight New Orleans twang in his voice, if you were new to this artist, you might think Curren$y was a West Coaster; and in that way, he gave me an easy ride away from the troubles at hand, at least for the night. And last week that trip counted for a whole lot.